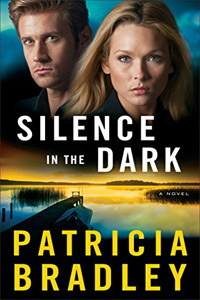 Silence in the Dark by Patricia Bradley: Synopsis and Online Purchase Options. Synopsis (from the publisher): When Bailey Adams left Logan Point two years ago she thought she was getting away from her problems. Running into her ex-fiancé Danny Maxwell was not part of the plan — neither was being chased through the city by the local drug cartel, the Calatrava. Now despite her best efforts, Danny is her only chance of escaping the people chasing her and getting back to Logan Point safely. Can Bailey find the strength to face what's coming? And in the midst of the chaos, can she keep herself from falling in love with her rescuer all over again?